Long-regarded as a useless evolutionary artifact, the appendix won newfound respect two years ago when Duke University Medical Center researchers found that it acts as a safe haven where good bacteria can stay until they were needed to repopulate the gut (after a bout of diarrhea, for example). Using cladistics, which utilizes genetic information in combination with a variety of other data to evaluate biological relationships that emerge over the ages, Parker found that the appendix has evolved at least twice, once among Australian marsupials and another time among rats, lemmings and other rodents, primates and humans. “We also figure that the appendix has been around for at least 80 million years, much longer than we would estimate if Darwin’s ideas about the appendix were correct,” Parker notes. Darwin theorized that the appendix in humans and other primates was the evolutionary remains of a larger structure, called a cecum, which was used by our ancestors for digesting food. The new study demonstrates two major problems with that idea. First, several living species, including certain lemurs, several rodents and a type of flying squirrel, still have an appendix attached to a large cecum which is used in digestion. Second, Parker says the appendix is actually quite widespread in nature. “We find that more than 70 percent of all primate and rodent groups contain species with an appendix,” he said, noting that Darwin had thought that appendices appeared in only a small handful of animals. 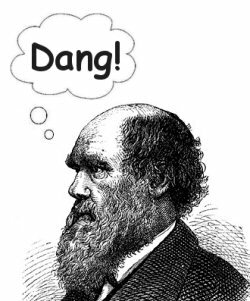 Darwin was also not aware that appendicitis is not due to a faulty appendix, but rather due to cultural changes associated with industrialized society and improved sanitation. “Those changes left our immune systems with too little work and too much time their hands – a recipe for trouble,” says Parker.